Senator Jill Carter says more were involved in the Mayor's book deal. 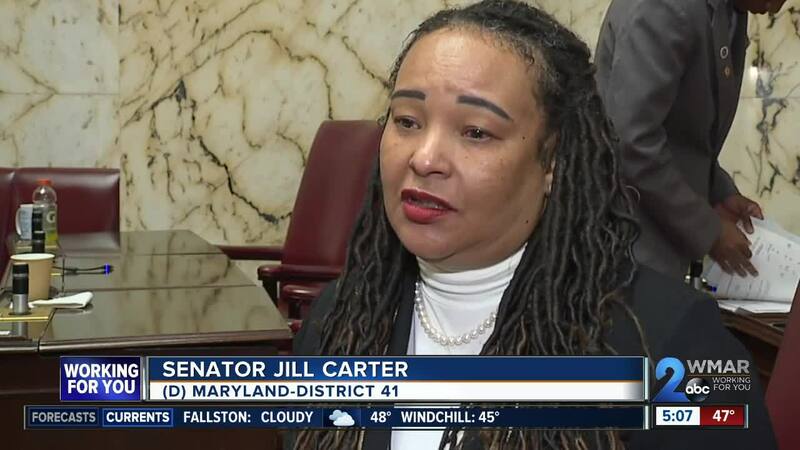 BALTIMORE, Md — Senator Jill Carter says she had concerns about what the members of the University of Maryland Medical Center's board were doing. She introduced the bill that would ban business deals involving hospital board members. She said her office found that nine members of the board were awarding contracts that were not going through the correct process. She was not initially aware of Mayor Catherine Pugh or her book deal. Carter also thinks that others were involved. "Nobody was dealing with themselves; every situation that we've seen there were others involved," said Carter. "So even with the situation that is going on with the Mayor, you have to look at the other entities that were involved and what they stood to gain and what they did gain. There's a lot more going on than just casting aspersions against one person. It's much bigger than that." Senator Carter also said oversight, accountability and transparency are critically important and public servants should serve the people, not themselves.